I have a confession to make: My head is oddly shaped. I have never been able to wear headbands because of this. Hard headbands are too round for my square noggin. 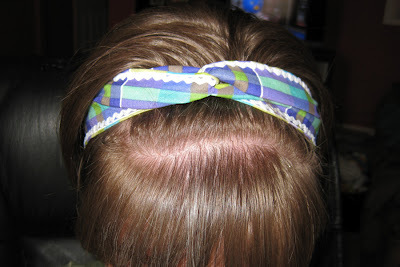 Elastic headbands will never stay in place. This is bad because for most of my life I have been a short-haired gal. 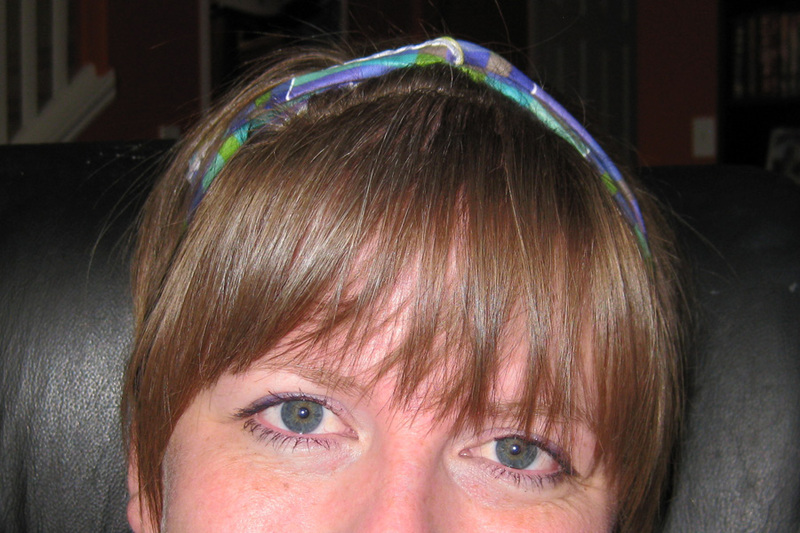 I love having my hair short, but not being able to wear headbands severely limits my styling options. I go through bobby pins like nobody's business. Then I discovered wired headbands. In my opinion, these are the best things since sliced bread… or remnant bins… or hot glue guns. And for those like me walking around with a wonky head, these are a life saver! 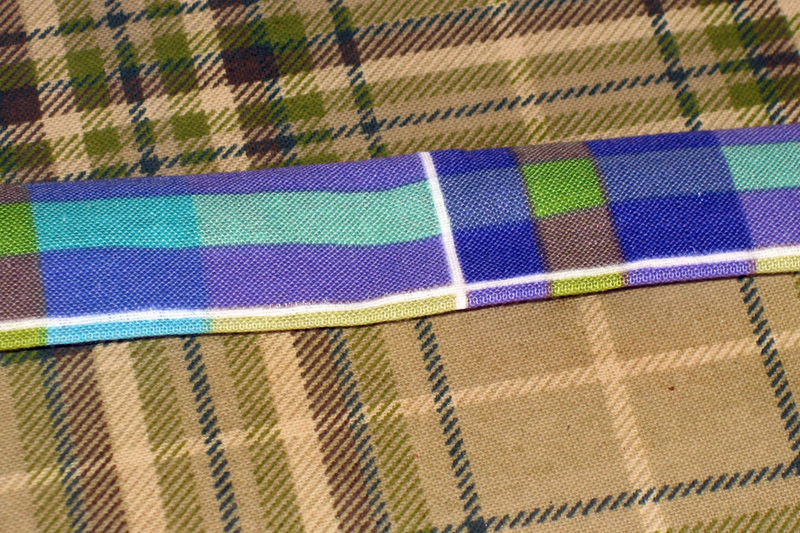 I got my first wired headband from Mod Cloth and since then, I have been working on replicating this fantastic invention. And now you can, too! Measure your head where you want the headband to lay. Ask for an extra pair of hands to help you make sure your measurement is accurate. 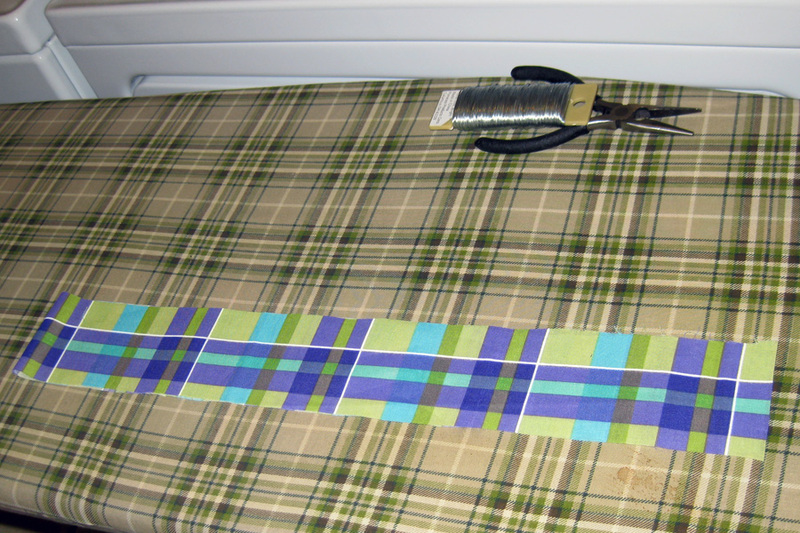 Add six inches to your measurement and cut your fabric length. Test it out on your head to make sure it is long enough, but not way too long. 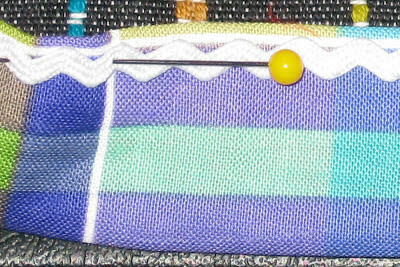 Remember to allow for seams on the ends that will shorten it 1/2 inch or so. The width will depend on how wide you want the headband to end up. I like my final product to be 1.5-2.5 inches wide, so cut the fabric twice as wide as you want the headband to be. 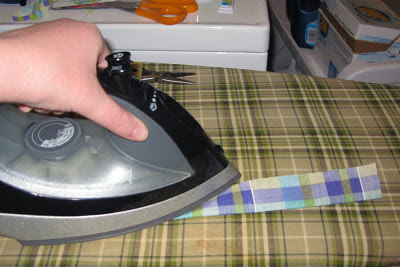 Fold your fabric in half, right sides together, and iron the fold flat. Stitch the long edge. 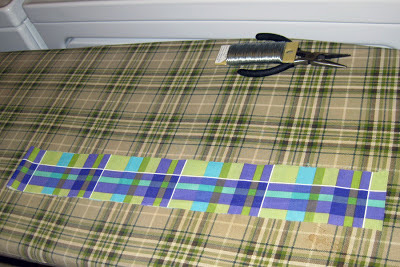 Cut your wire approximately 4 inches longer than your fabric strip. Loop the end and wrap the cut end of the wire around so that no sharp parts are poking out. Do this to both ends. Flip your fabric tube right side out. Iron it flat with the seam centered on the back. 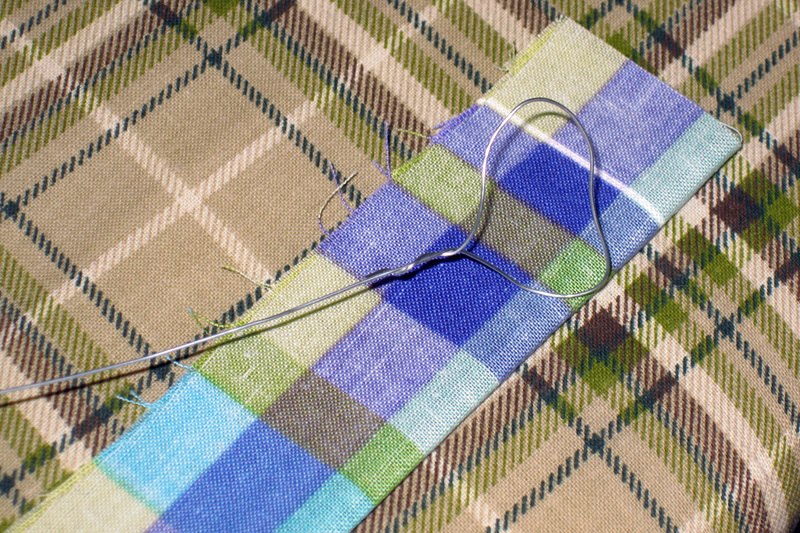 Place your wire into the fabric tube, making sure the length is right. 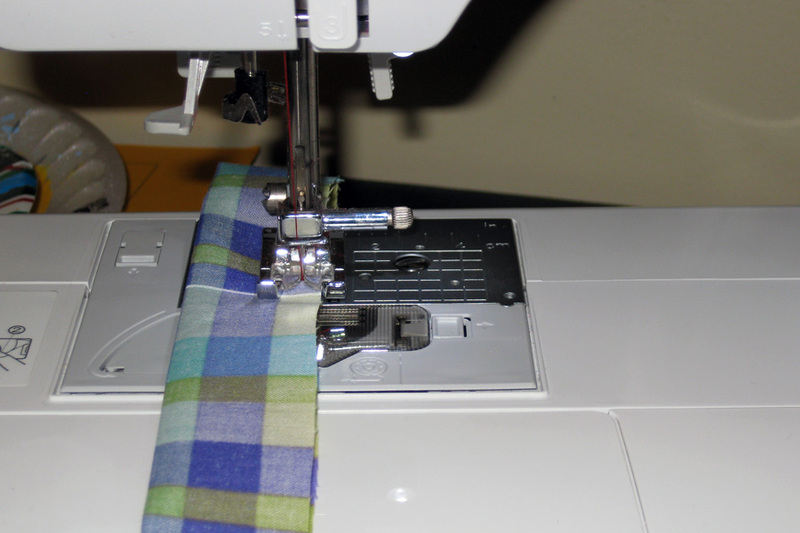 Remember to leave some space for a seam allowance on the ends. 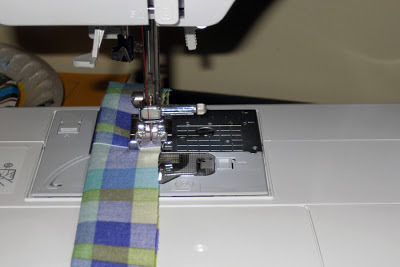 Make sure your wire is as straight as possible inside the fabric tube. Place a few small stitches to secure the wire loop on each end. 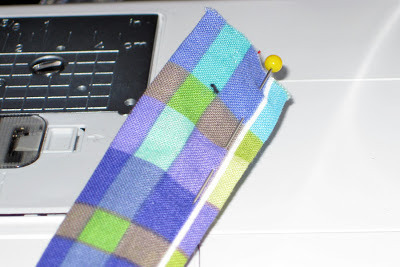 Fold each end of the fabric into the tube and stitch across, closing the tube on both ends. Embellish as you like. I added small rick rack along the edge of my headband. I did the stitches by hand so they wouldn't show. Step 6 - Style and Rock It! Place the middle of the headband at the base of your head, then bring the ends up to the top. Wrap them around each other a couple of times, tuck in the ends, and you're ready to go! This is my favorite way to wear my hair ever since I got my blunt bangs. Cute! I need to try one ASAP. You do! They're so easy and end up so cute! When you do, send me a photo because I want to see. Thanks Sinea! I'm glad you came and checked my blog out. See you at next week's linky party! those are cute, - goes on my "to do list"! Thanks for stopping by Krystie! Thanks Emily! That's great news... my first feature! I will definitely add your button to this post. Thanks so much for coming by and partying with us at Weekend Wonders and for following The Thriftiness Miss too! GFC following you back now .. Hope you have an excellent weekend.